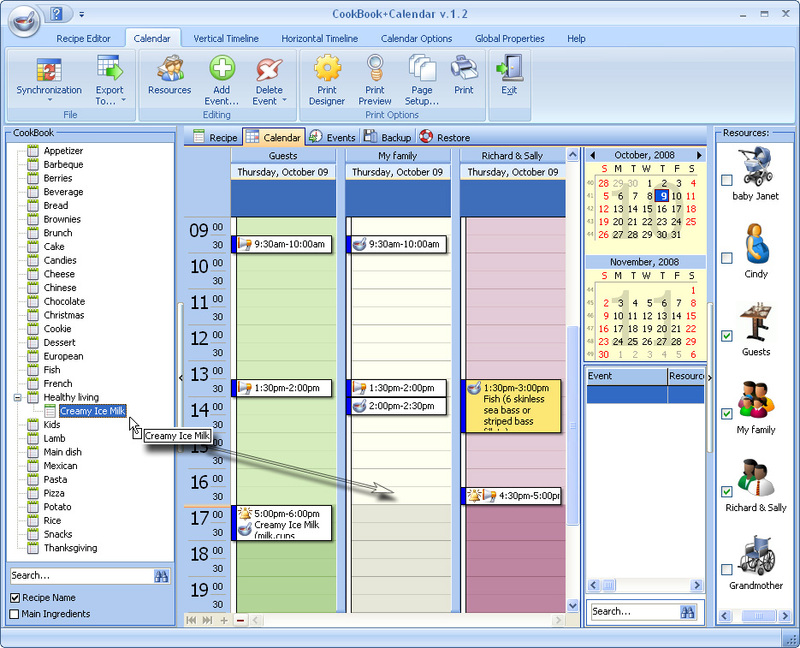 Description: Cookbook+Calendar is a user-friendly program that enables to plan a menu, a diet or a dinner party, to store recipes and to be in control of meal planning calendar. It will come in handy for grocery and restaurant managers, for those who keep to a diet, and those who enjoy cooking. 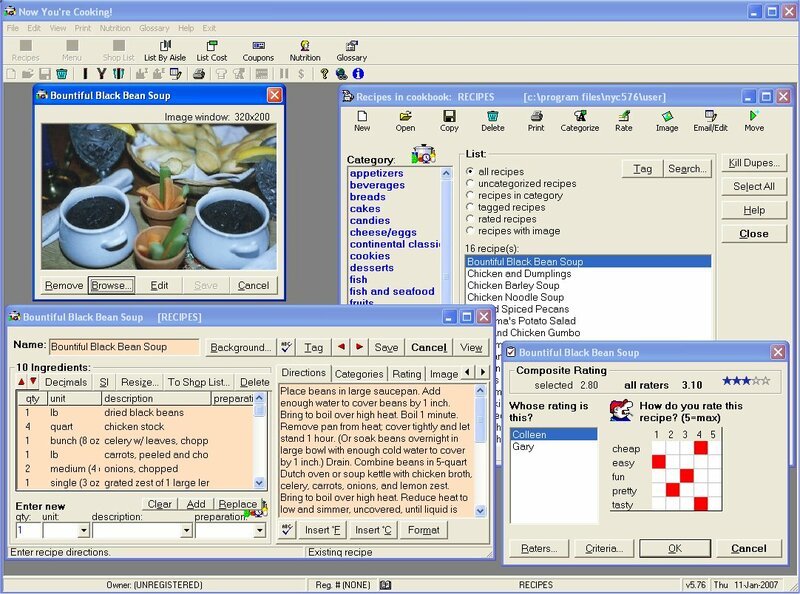 The program features importing and exporting recipes in most of the formats including HTML, search by recipe name or by main ingredients, and many more. Description: Web based recipe managemet. This software enables you to manage all your recipes with ease. Adding, editing, printing and searching for recipes is simple and fast. You can make your own ebook. Features : Web Based; Add / Remove Recipe Category; Add / Remove Recipe in Category; Search recipe in title, ingredient, method; Export to E-book (format PDF); Make US Index Card 4x6 and 5x8 (format PDF); Printer Friendly. Description: Award-winning cyberkitchen companion for Windows XP/Me/2K/9x/NT4. Cuts hours off organizing recipes, meal plans, nutrition analysis, shopping lists, grocery cost management. Recipe search, dupe checking, find-replace, meal planning, import/export across multiple cookbooks. 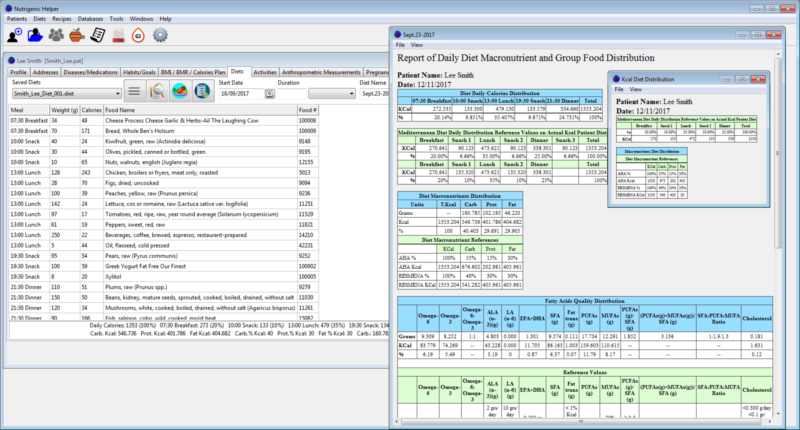 Description: Nutrigenic Helper is a fully integrated professional application designed specifically for dietitians, nutritionists, anthropometrists, medical doctors and professionals that are working in the nutrition and fitness fields. It is the most complete and accurate weight and nutritional management. It allows to build personalized diets, to make complete nutritional assessments and to get valuable data from minimal anthropometric measurements. Description: Enter the total bill amount via the on-screen keypad, select the tax % from the list (or allow SplitBill to calculate it for you based on the $ amount) and assign the tip %. The Tip calculation may be made either before or after tax. SplitBill takes the guesswork out of splitting/calculating a bill among a group (or individual). Use the Tip Wizard to apply a logical approach to tipping. Description: The Water Supply Simulation is a calculator by Dynamic Applications that allows you to calculate cost, effort, time and volume of your own, self-built House Well. 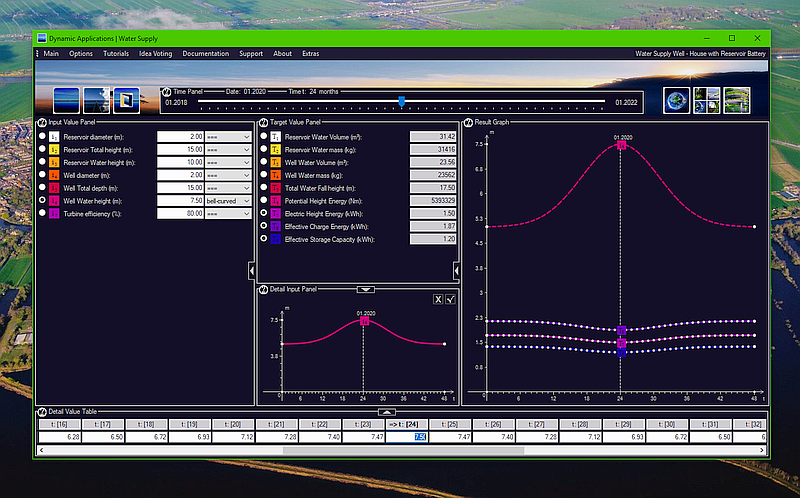 Includes a simple House Water Reservoir Battery Simulation. Is it possible? - we say yes. Furthermore, includes the Bakery Tutorial, an introductory simulation that allows you to bake and sell your own bread. Food and Drink - Dynamic Applications has world's basic answers.